The question as to whether wood pellets are a sustainable source of heat and power is often raised and one we would like to address here and now. By evaluating the entire wood pellet production process in stages it is possible to allocate the associated carbon emissions, starting at the beginning with harvest. Today in the UK the majority of wood for the domestic heating industry still comes from indigenous sources by making use of sawmill waste or rejected forestry crops, those trees that are misshapen, too small or too large. To make biomass viable it needs to be locally sourced, otherwise transportation costs make it uneconomic as an energy source. Of the UK’s near 3million Ha of forest, nearly 50% of it (1.5M Ha) is managed under the Forest Stewardship Council certification (FSC) ensuring its sustainable management and re planting. The harvesting of timber in the UK is carried out by machinery, which is powered by diesel power. The FSC in 2014 estimates that the total emissions from harvesting and forwarding to be 0.071 M/t of CO2 per year which equates to 7.9 Kg per tonne of wood harvested. Once harvested the raw material needs to be transported from the logging site to the pellet processing plant. Processing the raw timber into pellets will typically produce 0.03kg/CO2e/kWh, however there is still room to reduce these emissions further as we have demonstrated at our Girvan production site by installing an on-site combined heat and power plant, where we have reduced our emissions to 0.011kg/CO2e/kWh. The majority of feedstock is transported by road, but here we differ, due to our quay side location we can receive 1000t of raw feedstock in one shipment from around Scotland, one ship delivery equates to approximately 70 truck movements, again reducing embodied carbon. From the dawn of time man has used wood to cook food and provide warmth, but what has changed over the centuries is how efficient the heat production process has become. Today’s biomass boilers can operate at over 90% efficiency. 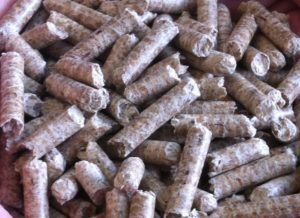 From our analysis of the wood pellet supply chain it is the production process that has the greater influence over the total carbon emissions of the entire supply chain compared to the transportation of raw materials or the finished product. Where a Combined Heat and Power plant (CHP) is used to provide the heat for the drying of incoming timber there are carbon emissions of 0.01 Kg/CO2e/kWh which is 0.0201 Kg/CO2e/kWh less than a plant that uses gas heated rotary dryers. Overall, harvesting and transport to the production plant represent only around 20-25% of supply chain emissions. These are likely to remain consistent over time as the economics of the process require the raw material source to be local to the plant. The location of the forests that are used for timber production will often mean that the factory location will be away from the gas grid, another reason why CHP plants become a viable option. 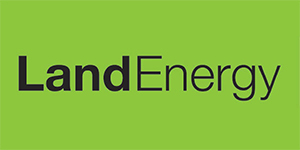 The embryonic nature of end market means that the delivery to the final end user represents a further 25% of the carbon emissions with in the supply chain, which is predominantly to do with the low volumes within the overall market, where delivery distances can be as high as 200 miles per drop. As this typical analysis shows that UK wood pellets can provide an 80-90% reduction in CO2 emissions compared to oil, which, due to locations of the majority of boilers being installed, is the fuel that is replaced, comfortably within DECC’s requirement of a 60% reduction. The answer to the question posed ‘Are wood pellets sustainable?’ is clearly a yes. To find out more about the sustainability of wood fuel please visit http://www.ecuity.com/wp-content/uploads/2014/03/Wood-Fuel-Sustainability-Paper.pdf.